Lorsque vous devenez membre de la CAMPT, vous recevrez un courriel vous donnant accès à la zone des membres du présent site web. Cette zone comprend le guide ‘Get Started’, votre sceau avec votre code numérique, des autocollants, ainsi que d’autres éléments afin de promouvoir votre service et vos compétences. CAMPT is a trademarked not for profit organization. The terms CAMPT and FCAMPT have been protected since March 26, 2012. Policing our trademark is required to maintain its status. Only physiotherapists that are Fellows in good standing with CAMPT may claim FCAMPT status. This includes being up to date with your yearly registration fees. Anyone who is not a Fellow in good standing must not use FCAMPT in their credentialing or reference CAMPT in their professional designations. RCAMPT is no longer a recognized title. This is in accordance with IFOMPT member organization requirements. 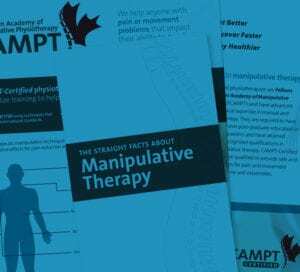 Physiotherapists are no longer able to use RCAMPT as a professional designation, as it does not exist. We are actively policing this policy. If you are aware of anyone who may be falsely using FCAMPT or RCAMPT you may anonymously report them to the CAMPT executive. We will follow up on this policy. The annual CAMPT renewal period runs from December 1 to January 31. CAMPT sends out two (2) complimentary emails reminding Fellows to renew their membership. All Fellows are required to renew annually and must have their fees paid by January 31 of the year for which they will be registered. If these timelines are not met, a Fellow is considered late in their registration and at that moment no longer eligible to use the terms of privileges of the FCAMPT status. If late, the physiotherapist will be contacted to either complete their annual registration or cease and desist the use of FCAMPT in their credentialing. If the physiotherapist fails to comply disciplinary action will be take. Any Fellow that missed the yearly registration deadline (January 31 of the current calendar year) will be charged a $50 late fee in addition to their annual registration dues. Fellows are not permitted to skip registration years. If a Fellow has been delinquent on an entire registration year they will be charged a $150 penalty in addition to their annual registration dues. This policy will take effect December 1, 2017. Fellows are eligible to take a one-year leave option on their Fellowship if they are on maternity/paternity leave at the time of registration. The Fellow is still required to renew their membership by the usual deadline of January 31 of that calendar year but will receive a 75% discount by selecting the maternity leave option. This may only occur for one (1) successive year. The Fellow is required to renew their membership the following registration year for the full annual fee. Fellows are eligible to take a professional sabbatical from their CAMPT Fellowship if they will be residing out of the country at the time or registration, and expect to remain so for the duration of the registration year. This sabbatical may remain in effect for an undetermined about of time. The Fellow may return to Canada and regain their Fellowship without penally only if the Fellow alerts the CAMPT secretary/treasurer of their absence prior to leaving the country. All Fellows will receive a professional embossed seal with their personal registration number. These seals are to be used as a professional identifier for the Fellow, but remain the personal property of CAMPT. If a Fellow retires, or decides to discontinue their Fellowship they must cease and desist the use of FCAMPT in their professional designations, and return the seal to CAMPT at their own expense. Failure to comply will result in disciplinary action.